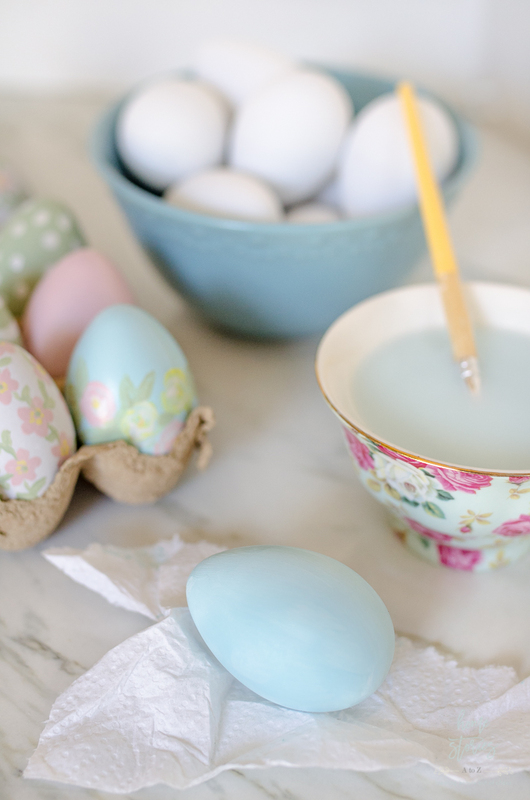 Forget dying your eggs this year and try painting them instead! 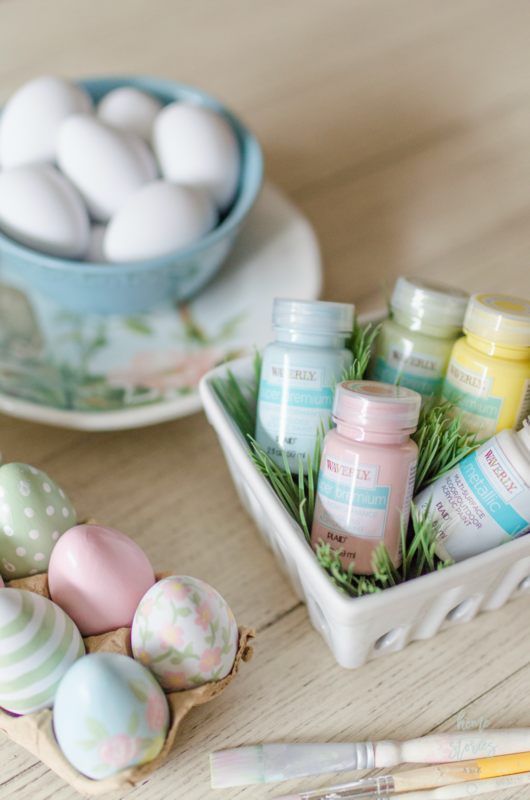 I’m sharing my tips for creating beautiful and simple painted Easter eggs using acrylic craft paints. I wanted to try my hand at painting some beautiful eggs that I can use for years to come. 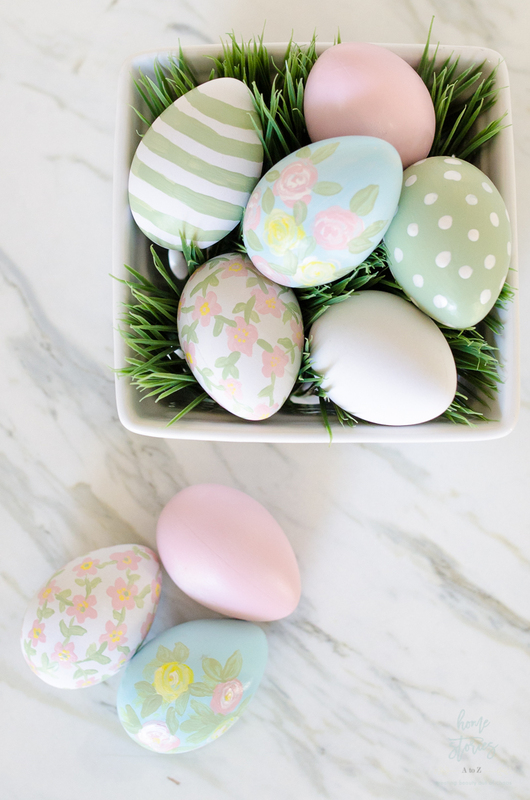 Artistic painting isn’t my greatest strength, but you definitely don’t have to be an amazing painter to create beautiful eggs! The paint does most of the work for you. To get started, here is what you need. I’m not able to find an online link for the eggs I used, but I picked them up at Walmart and I am very impressed with them! They feel like real eggs and the paint adheres to the surface easily. Step 1: Use a flat acrylic paint brush to paint the entire surface of the egg. 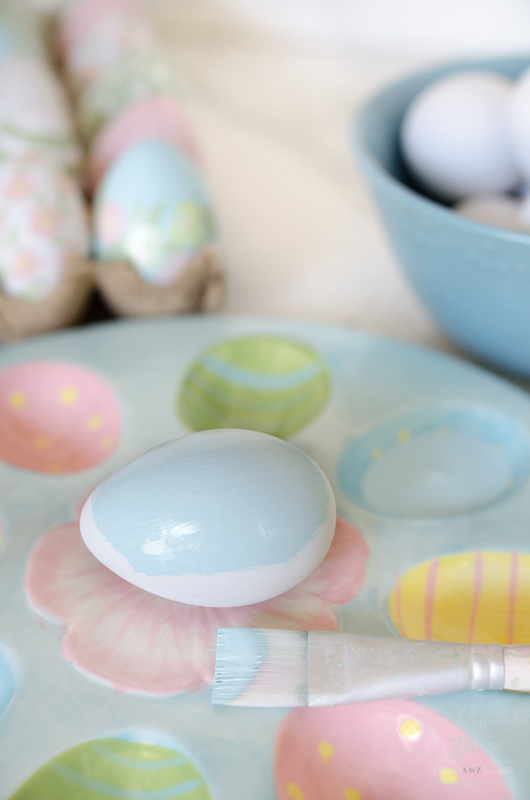 Your fingers may get a bit messy during this process but just do your best to hold the egg while you paint. Blog on the egg to dry before resting on a paper plate. You can stop at this step if you’d like! Your egg is painted and looking beautiful! You can try thinning your paint a bit to create varying shades of the same color. 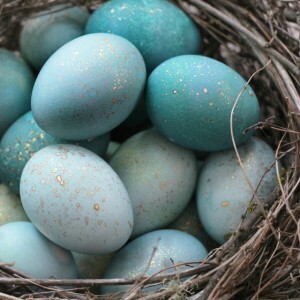 I especially like the Sky Blue eggs! 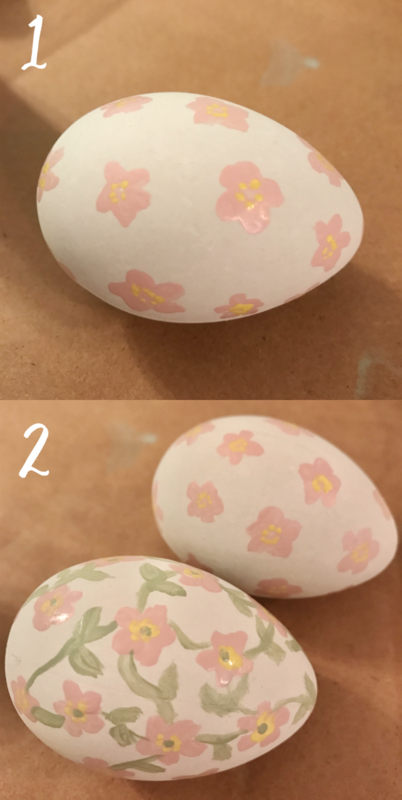 Step 2: Create designs on your eggs. 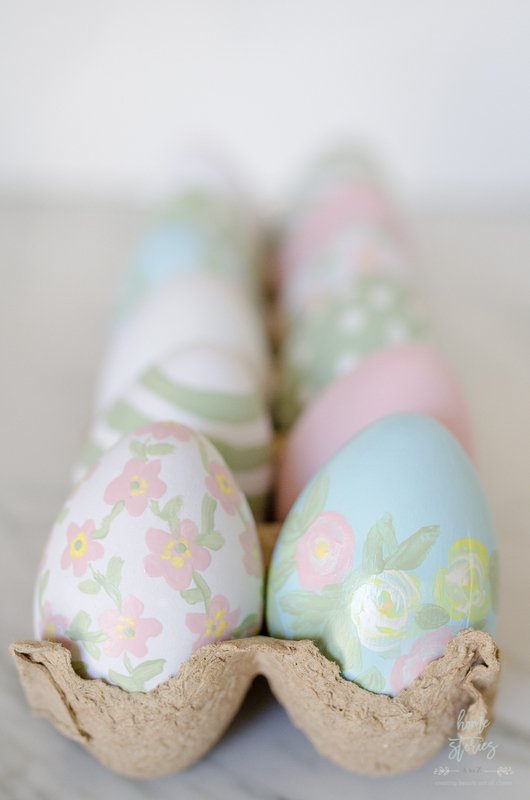 To create a simple flower design on your egg, use a small, round paintbrush and make five touching dots. This will create the flower’s petals. Once dry, touch the tip of your round paintbrush in the Lemon Curd and make five small tiny dots in the center of the flower. Lastly, use your paintbrush in the Celery to create vines and leaves. 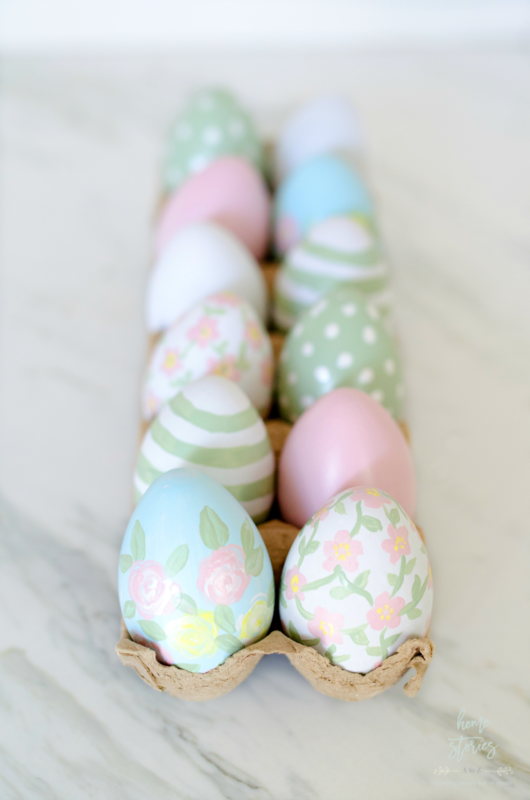 Use the same dot technique to create polka dotted eggs. 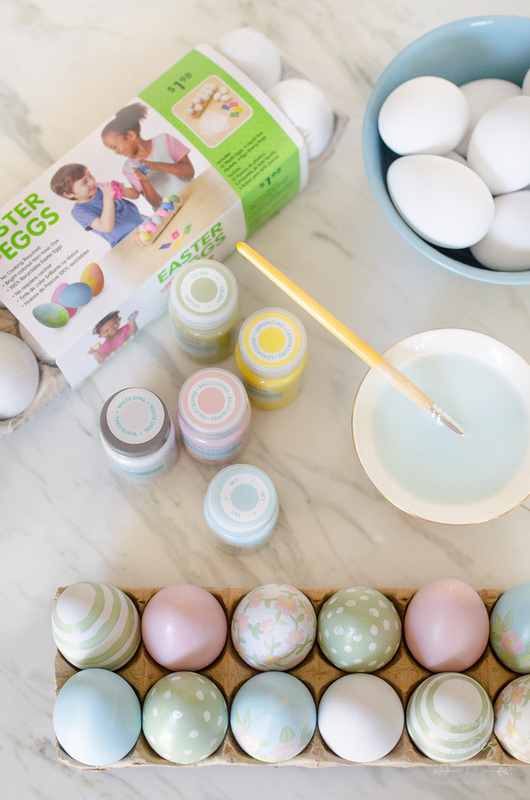 To create striped eggs, use a very small flat brush and just circle around the egg. Embrace any imperfections in your painting and remember that it doesn’t have to be perfect to look beautiful! Thanks for stopping by today! 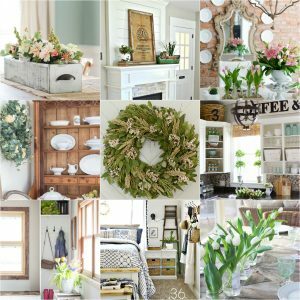 For more Easter and spring decorating and craft inspiration, click on the related posts below. These look beautiful!! I love the idea, I was thinking about trying the watercolor eggs opition, but this one got my attention too! Thanks so much! 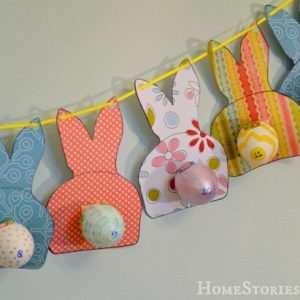 It’s an easy and cute idea for Easter. These are gorgeous! And the photography is stunning my friend. 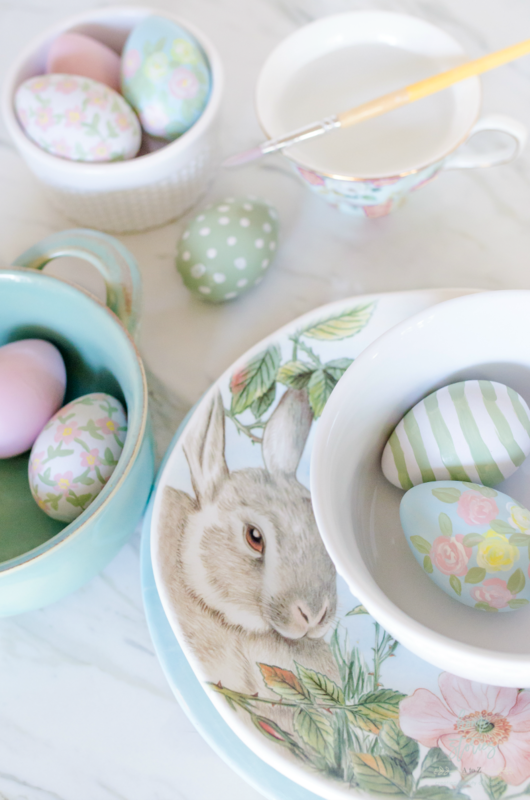 I have those same little bunny plates but you make them look better then mine. The styling is perfect! 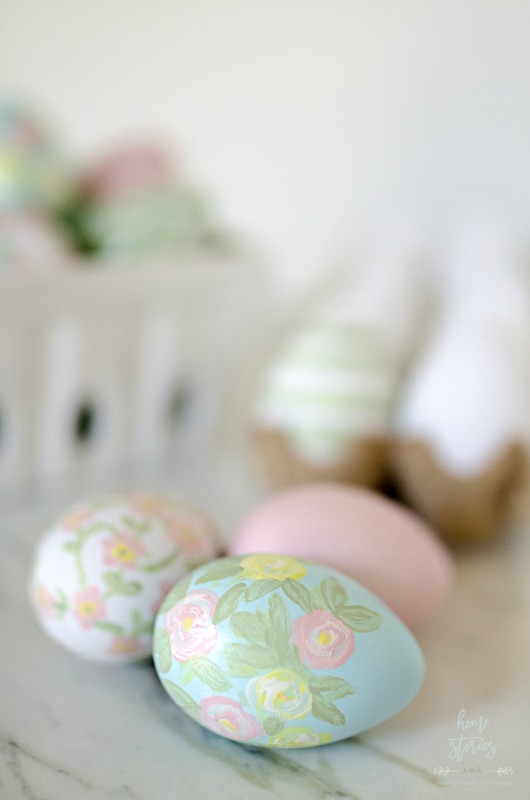 I love these painted eggs, I must try it! 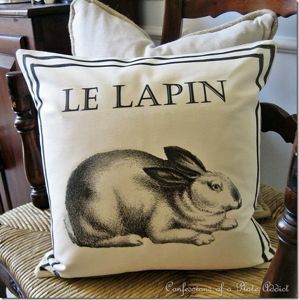 I have some of those faux eggs just waiting for something like this. Love the pretty paint colors! These are just the cutest! I am going to have to try this. Thanks for sharing! Thanks so much for stopping by Holly!